Just a quick update to let you know that we will be open all the way through the holiday period, except for the public holidays. Adrian is taking some well deserved time off from Christmas for 2 weeks, returning the 8th January 2018. Derek will be covering for Adrian – working Thursday 28th December, Saturday 30th December; and Tues/Thurs/Sat the following week. Just after Christmas, Angela Zhu will start work at Carlingford. Angela will spend the first month getting up to speed while working alongside our other physios, seeing how our clinic runs before she begins seeing clients from late January 2018. She is a natural communicator and teacher, with a sharp mind, and a particular interest in hand therapy and women’s health. I am sure she will bring a new perspective to our clinic, and be a great addition to our currently male-centric team! As always, wishing you the best for your health and family through the Christmas season and into 2018. Hoping that you have some time off to spend time with family and loved ones, and have a moment to reflect on what Christmas means to you. 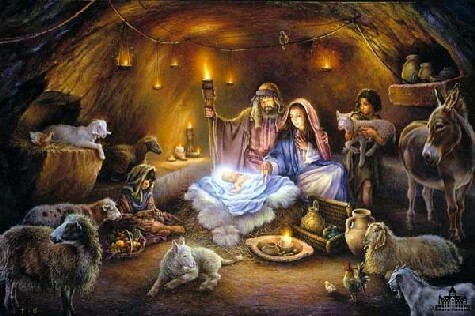 Is it just another public holiday, or is it a day to remember the birth of God’s son down here on Earth? And if it was the latter of the two answers, what was he doing here?